You get a FREE domain name. It’s really cheap. Your web expenses each month will be less than a cup of Starbucks coffee. It’s so easy to use. Anyone can create a WordPress blog in 20 minutes or less. Bluehost also makes this wonderful one-click install to get you started in minutes. Bluehost offers a 30-day money-back guarantee in case you determine that this is not for you, which is a great reason to at least try it! Your blog will be self-hosted, which means you’ll be able to maintain control of your own advertisements, affiliate links, etc. These are the main steps we’ll cover. Don’t worry, I’ll walk you through them. 1. Decide What to Blog AboutIf you’re part of a business or organization, this step will be easy to determine. Your blog should be related to the product(s) or service(s) you provide, or the cause you promote. · Blog about something with plenty of room for discussion. A blog requires a lot of content to get going and to remain interesting. You’ll be at this a while so make sure you have plenty to talk about. · Blog about something you enjoy. If you don’t care about your topic, writing about it will be drudgery. Also, why would readers be interested if you aren’t? · Choose a niche in which you can establish yourself as an authority. You will probably not be the first person to blog about the topic you choose. It’s almost guaranteed someone else has thought of it before you. Don’t fret about this, but ask yourself if you have a reasonable chance at making your blog better than all the others in your niche. The goal for any blog is to become the go-to resource for its topic or niche. The domain name will be your personal blog address where people can find you. As an example, my domain name is splendidinvestor.com. You should be creative while picking a name but it shouldn’t be overly complicated. You don’t want to end up with a website name that no one will remember, or a name that people might have trouble typing from memory. But there are no wrong choices here, just try to be creative! You should try to pick a domain name that ends in .com for more credibility. A host provides server space for your site. Put simply, when your site lives on a server (instead of on your personal computer on your desk), others can find your site on the internet. There are many different web hosting companies out there but Bluehost is a top choice among bloggers due to its low prices and great service. To receive the cheapest price, you have to register for 36 months of service. If you choose to register the 24 months or 12 months plan the price is a little bit higher, but still really affordable and still allows you to get a free domain name. If you are unsure, I would sign up for a 12-month plan, which is still a great price for one year of blogging! The blogging platform is the software used to display your blog. There are many services you can use to start a blog or website. WordPress is, by far, the most popular. WordPress is widely used because of its simplicity and ease of use. I myself use the WordPress platform and appreciate its flexibility, functionality, ease of use and large community of people who share tools and ideas. Now that the basics are covered let’s get to it! 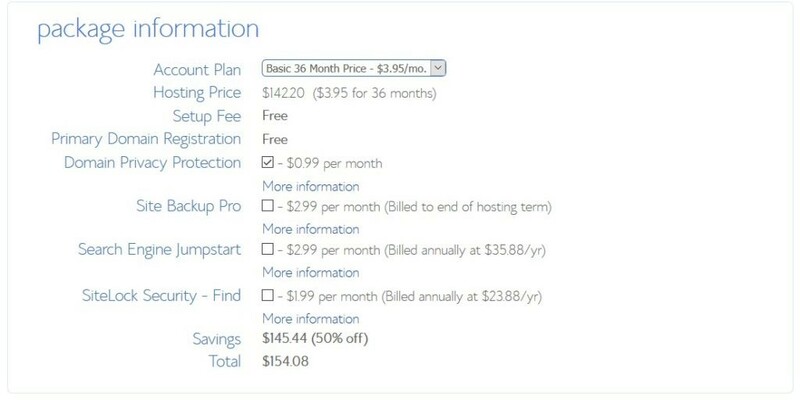 Once you’re on the Bluehost website, select the basic hosting plan for only $3.95/month (that’s 51% off from the regular price!). You will then get to the next page where you can input your free domain name. Try a few names to find out what’s available! If your domain name is not available, Bluehost will give you a bunch of suggestions as to what’s available. 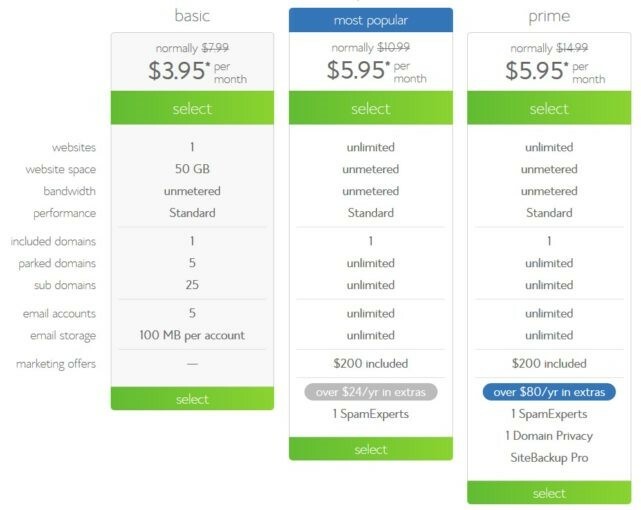 After you’ve selected your package and a free domain name, you get to choose some hosting options. In my opinion, the only one really worth selecting is the “Domain Privacy Protection“. This allows your contact information to stay safe by preventing your phone number and personal address from being displayed. After you’re done filling out the page with your personal details and payment method, press the submit button to finalize the process. Congratulations! You now own your very own website. 3. 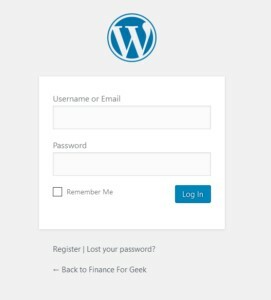 Install WordPressOnce you’re done registering your own domain name and your web hosting, it’s time to install WordPress. 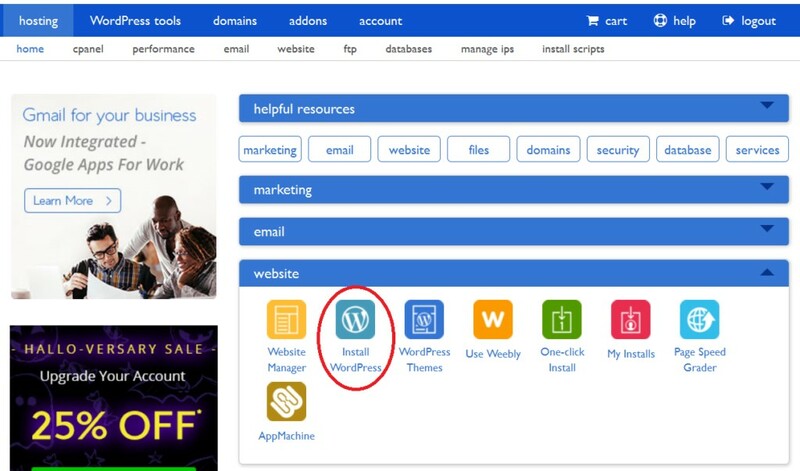 This part is quite simple, as Bluehost makes it very easy to create a WordPress blog and it is free! Sign in to your Bluehost account and when logged in, navigate to “Home” and then in the “website” section. Next, click “Install WordPress“. Click on the “Get Started” button. This will begin the installation. Select which domain you will want to install WordPress on. Click the drop-down menu and choose the domain you plan on using. Do not click “Install Now” yet, be sure to check “Show advanced options“. Once in the “Advanced Options“, you will have to choose a Site Name, an admin username and an admin password. Please define a strong password for your admin account! You should also check “Automatically create a new database for this installation” unless you’ve already created a database (which should not be the case for most of the new users out there). Then click on “Install Now“. 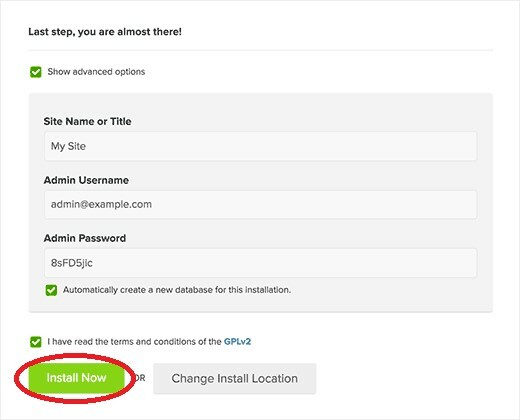 You’re now done with WordPress installation (it usually takes a few minutes after clicking install) Next, you can login to your website from your admin panel (check the email you received for the details). 4. Install a ThemeThe next step is to choose a great theme! A theme is what will determine the visual aspects of your blog (background, colors, fonts, navigation, etc.). There are a lot of free WordPress themes and a fresh install of WordPress even comes with a few themes already installed. For new bloggers, there’s always the question about free vs. paid themes. If you just want to do a blog for fun and don’t care about monetizing it yet, you should go with a free one. On the other hand, if you want full control, the ability to add advertisments and a website that loads really fast (which is a key component of a good website), you should not even think twice about going for a paid theme. ThemeForest is a site where you can find some very nice looking themes for your blog. Navigate to “Appearance” then “Themes” on the left panel. Once there, click “Add New“. If you downloaded a premium theme click “Upload Theme“. If you want to browse through the free themes available, you can do that here. Once you have chosen your theme, hover over it and click “Activate“. Now you’re done with the core components of your website (domain name, hosting and theme)! To add and create a new post, click “Posts” on the left-hand side when you are logged in your admin panel. If you want to add a page, simply click on “Page” instead. To add and change widgets in your sidebar and footer, you can go to “Appearance,” then “Widgets”. If you want to add an image, click on “Media” on the left-hand side of your admin panel. Before writing posts, you should at least create pages such as “About” and “Contact” and you can add other pages later. To be successful, one extremely important step is to spend most of your *blogging* time writing and posting high quality content, particularly when you are first getting started. This is important but also the hardest part as you have to get into a creative mindset and keep writing and publishing even when you don’t feel like it! In order to grow your blog you have to be on social media. You can find me on Facebook, Twitter, & Google+. You can also drop by http://splendidinvestor.com/ anytime and say hi! Your posts should be answering specific questions in your niche and you should give your point of view. Readers like useful posts and long posts tend to engage a lot more readers than short articles. Plan to spend some times on your headlines, as they are key to get people clicking on your posts. That does not mean to be doing “click-bait” post type where your headline does not really relate to your content with headlines falsely misleading. In order to grow your blog try to comment on larger blogs in your niche. If you happen to comment in well-known places that’s one of the first good ways to get people to come back to your website. Finally, you should be guest posting on larger blogs in your niche to enhance your traffic and create an audience. But in the first place, you should know where and who you will be guest posting for, so try and get to know the blog and its author for at least a couple months before asking for a guest post. This wraps up my detailed guide on how to start a blog on Bluehost. Now is your turn to create quality content with your unique story! There are definitely people out there which you can relate to and connect with. And as with a lot of stuff Internet-related, the sky is really the limit in terms of what you can achieve by starting a blog. Maybe you’ll find yourselves making new friends of maybe you’ll find new work opportunities and you can even make money blogging as many bloggers already do! If you’re still reading, it must be that you liked what you read! Thank you very much for taking the time to read this detailed post. I can’t wait to see what will become of your future blog! One last time, don’t forget to take the chance to start blogging and get your own Bluehost blog and free domain. Feel free to get in touch if you get stuck in any step. Disclosure:Some of the links above are referral links, meaning, at no additional cost to you, I will earn a commission if you make a purchase. 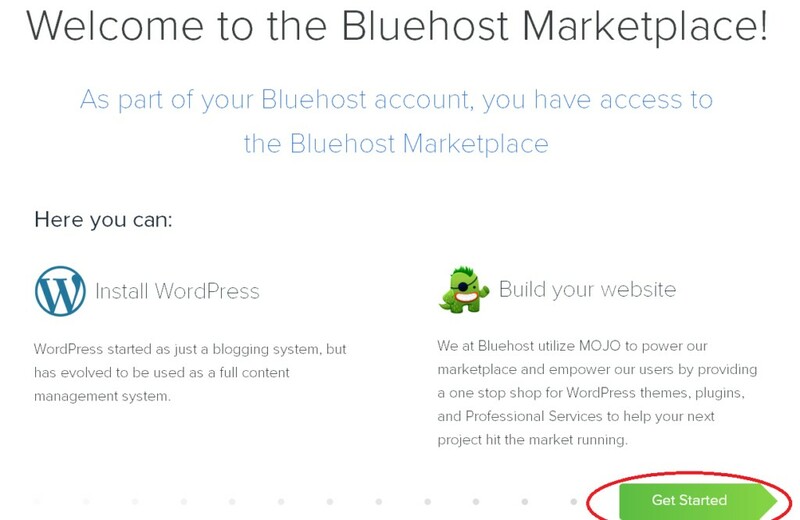 Have you already started a blog with Bluehost? Do you plan on doing so? Let me know in the comments!